do u su do ku? As an avid puzzler I have been one of the many caught up in the Sudoku craze. I can’t say that I have mastered them as I still get stuck on some of the more difficult ones. I do enjoy the pure logical deduction needed to complete the puzzle. I also enjoy finding new and different challenges that fall into the Sudoku realm. 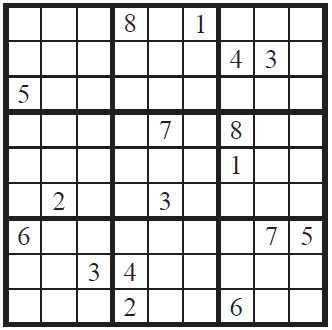 To that end I am excited to find the many variations of Sudoku that have been appearing. Of course I find some via my subscription to Games Magazine but some of the first interesting variants I’ve seen were published in the Boston Phoenix as “Psycho Sudoku”. 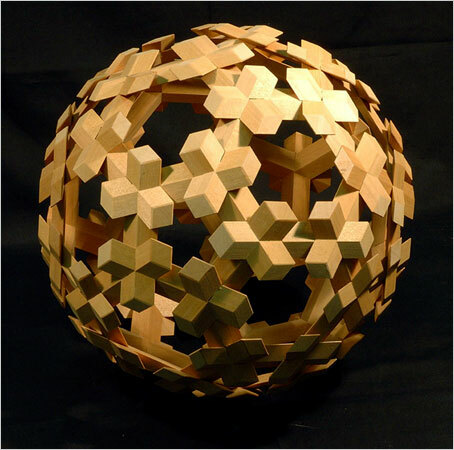 More recently I came across this page that has a number of cool variants and links to more similar interesting puzzles. In addition it seems that the World Puzzling Federation (Championship going on right now!) sponsored a World Sudoku Championship last March in Italy. Here is the instruction booklet (PDF) showing the types of puzzles contestants had to solve there. It’ll be a greeat day when this event gets covered by ESPN! I’m an avid subscriber to Games Magazine and I just discovered that the maze on the cover of the August 06 issue was deisgned by Robert Abbott, the author of one of my favorite puzzle books Mad Mazes…I don’t remember how I got this book, it was before my obsession with games and puzzles of the last decade, but it has been a source of great entertainment for me (and now my kids) for quite some time…it is full of beautifully illustrated Logic Mazes, as Mr. Abbott names them, only a few of which I have solved but all fun nonetheless…as it turns out after some interwebbing I found that he has done a lot of puzzle and game design…I am going to have to try a Bureaucratic Maze with the Youth Group this fall! a while back i purchased a bunch of perplex city cards on ebay…i finally started solving some of the easy ones with my kids this afternoon (a great rainy day activity)…perplex city is this really cool alternate reality game where one buys cards in the real world (or the UK in this case) with puzzles on them and gets points by entering correct solutions on the main website for the game…the meta game story is about a missing cube and a real-world $200,000 prize for locating the missing cube (in the real world i assume)..while i know i’ll never be able to compete with the netizens who will spend countless hours solving cards, i would like to plow through some of these…i really should have a puzzle party with some of my more hard-core gaming friends…some of the cards are close to “impossible“….